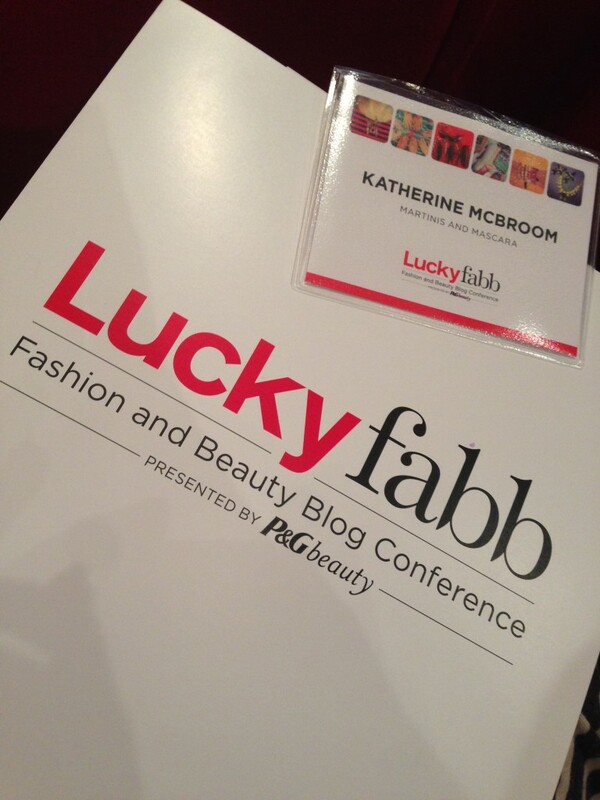 At long last, here is my LuckyFABB recap! 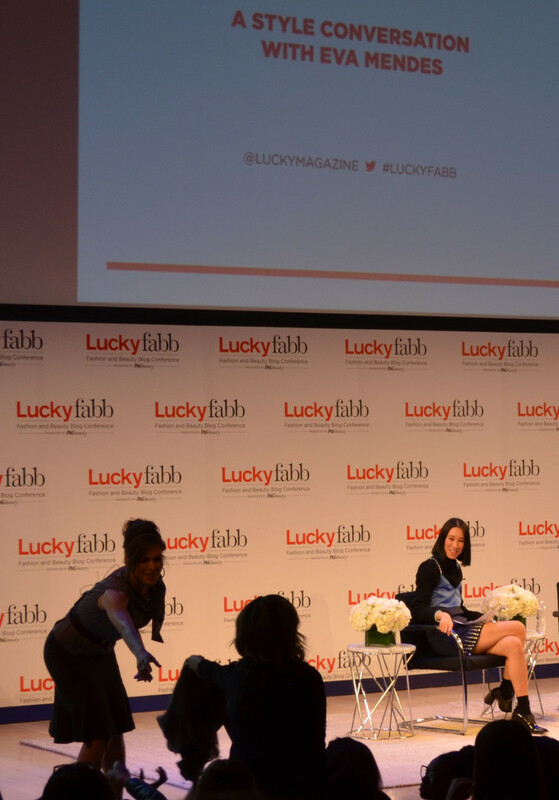 It may have been two weeks ago, but I’m still reeling from all of the excitement from the two-day event put on by Lucky Magazine and Procter & Gamble in New York City. Day one (which took place at the TimesCenter) was filled with panel discussions and one-on-one Q&A sessions lead by the amazingly awesome Eva Chen, the newly crowned Editor-in-Chief of Lucky. (By the way if you do not already follow her on all of her fashion-tastic social media channels, you need to go do so, like, right now.) Here are Eva and I, in all our grainy quick-cell-phone-pic glory. I was trying not to geek out too much, but it was tough. My favorite interview she did on the LuckyFABB stage was with Eva Mendes… who I just fell in love with while listening to her speak. Eva shared her favorite beauty sites (like Violet Grey and Honey Rider) and gushed about her fashion crush (Vanessa Paradis). She also talked about her recently launched fashion line, a collaboration with New York and Company inspired by classic shapes and vintage beauty. The best part of the Q&A might have been when she grabbed a scarf off an audience member and taught us how she loves to tie scarves in her hair. At that very moment, the crowd (myself included) freaked over her insane down to earthiness. Eva later interviewed the adorable Kate Bosworth, who also recently launched a fashion collaboration. Kate’s is a collection with TOPSHOP. It’s lots of metallic and red leather and awesomeness. Check it out! The second day was devoted to breakout sessions and offered awesome inspiration in a truly intimate setting. It took place at the Conde Nast Building (where I had one of the best days of my life just a few months ago). 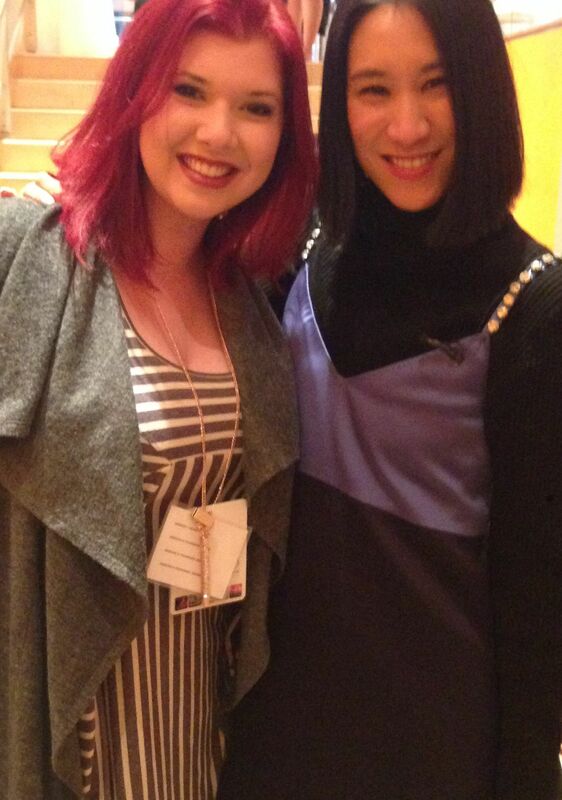 My day kicked off with an amazing demonstration by one of my favorite makeup artists, Jake Bailey. He is Katy Perry’s personal makeup artist and is responsible for some of her most iconic looks. 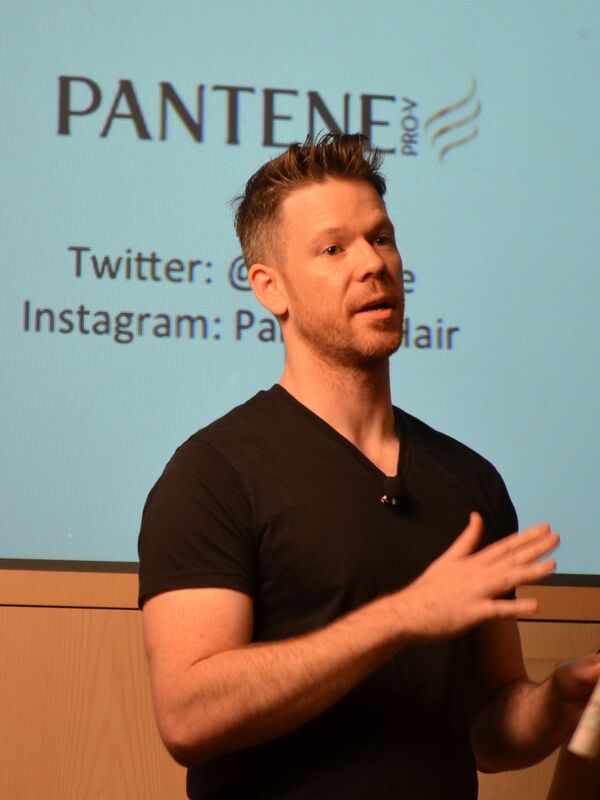 In this “beauty scoop” session he dished tips and tricks for using various Procter & Gamble brands including CoverGirl and Olay. One of my favorite takeaways was that he swears by the CoverGirl Intense ShadowBlast and also uses it as a highlighter. Definitely on my list of products to check out! I had to leave Jake’s makeup session early for my casting interview for the New Voices of Beauty contest! 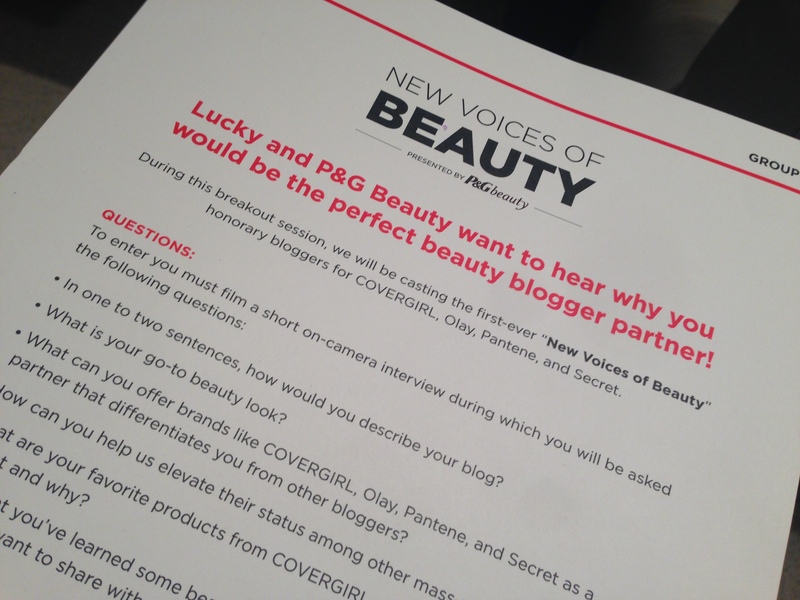 I was one of 30 girls selected to audition… and they are going to pick 8 finalists and 4 winners of the coveted New Voice of Beauty title. I haven’t heard either way yet, but whatever happens I’ll be happy because I feel good about my interview. It was really fun even though I was terrified. (Of course, if anything happens with that, you guys will be first to know!) Oh, and Anna Wintour walked by when I was sitting outside of the casting room. Whhhhaaaat! Definitely a day for the memory books. After that, I attended several different discussions with powerhouse brand leaders like Katia Beauchamp of Birchbox and Neil Blumenthal of Warby Parker. Both insanely intelligent and inspiring. 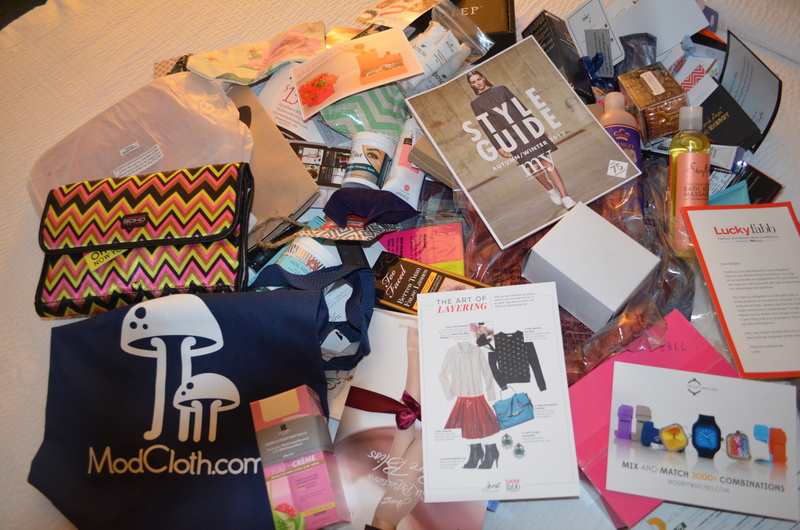 It was a great day that ended with an epic LuckyFABB swag bag. You’ll see my favs in future obsession of the day posts! While in New York for my three day trip, I also squeezed in a Broadway show, got hit on by Spider Man, had the best sushi ever with one of my best friends, got drunk in Little Italy at a really cute wine bar, met a lot of awesome people and made some great memories. All in all, I’d say it was a successful trip. Can’t wait to get back there and take another bite out of the big apple! Really wish I could have made it. I was at the LA one though, so I’ll def be at that one next year! Sounds like soo much fun!! I would’ve died if Anna walked by me. Just. died.